Lucky Nugget casino was established in 1998 and since then many players have struck gold at this casino. Its commitment to customer service, easy-to-use software and variety of banking options, make Lucky Nugget an absolute must to play at. Furthermore, the casino is fully licensed and has also received the eCOGRA seal of approval. At Lucky Nugget you can be assured of getting the best games on the internet, the best service and support. For as little as 10 credits, in the currency of your choice, you can enjoy everything that Lucky Nugget has to offer. You’ll also receive a warm welcome bonus on your first deposit. This gives you a chance to check out the casino first. Plenty of games are on offer at Lucky Nugget as the casino has a variety of more than 500 different games. These range from slots and video poker to table games like blackjack, roulette and craps, as well as a few scratch card games. Most games can be enjoyed at a minimum deposit of 10 credits. But if you want to enjoy high limit table games for a higher deposit, it’s advisable to check out which games are available: the high limit games are clearly marked in the casino software. Need to make your minimum 10 credit deposit? No problem. Lucky Nugget offers a variety of different payment options, including credit and debit cards (Visa and MasterCard), as well as prepaid solutions and web wallets like uKash, NETELLER and paysafecard. Please check each payment option for the minimum deposit required. However, to receive your welcome bonus, you’ll need to make a purchase of at least 10 credits. 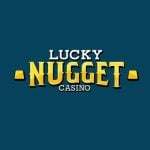 Lucky Nugget offers all new players a choice of welcome bonuses: if you want to make a minimum deposit of 10 credits, then it’s advisable to take advantage of the 150% match bonus of up to 200 credits. This means that you’ll receive a bonus of 15 credits, giving you 25 credits to play with! On the other hand, if you feel that you want to go big, you can get the secondary bonus instead: a 100% match up to 1000 credits. The bonuses and promotions don’t stop there: every day that you log in to play you will receive a guaranteed match bonus, customised according to your play. There are also weekly and monthly promotions with great prizes on offer. It’s advisable to read the terms and conditions of each promotion as the minimum deposit required may vary. Microgaming power all of Lucky Nugget’s games. So you can expect state-of-the-art graphics, crystal clear sound and a smooth gaming experience. To keep the line-up exciting, Microgaming releases new games on a monthly basis. 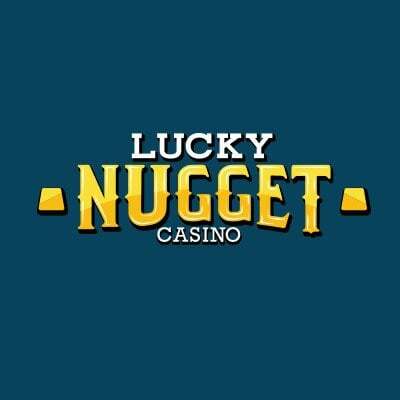 Lucky Nugget is also available to play on-the-go via any compatible mobile device. At Lucky Nugget Casino you can get support 24 hours a day, 7 days a week. The team is available via phone (toll-free for most regions) and email. You can also get an immediate solution via the Live Help function, where you can chat to an agent directly. Besides being able to deposit in the currency of your choice, you can also play the games in your languages. Some of the languages include English, Swedish, Norwegian, German and Japanese. Lucky Nugget accepts players from across the world, with a few exceptions like the USA. We recommend checking the casino’s terms before signing up. Alternatively you can find out whether online gambling is legal in your jurisdiction.